Foster healthy gastric systems – especially in horses that are stalled or fed grain – with natural support to ease the eff­ects of acid on the stomach lining. Highly palatable, calorie-rich supplement formulated to help all types of horses maintain a healthy metabolism. 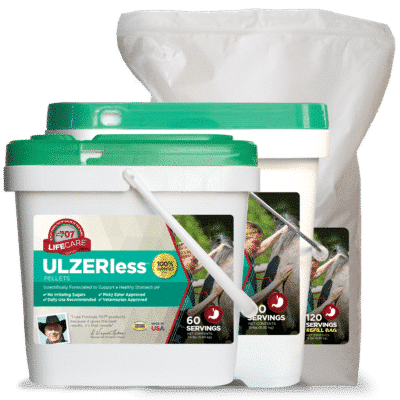 Vegetable fat provides easily digestible calories and increases your horse’s overall energy, and high-quality protein provides essential amino acids necessary for the body to build muscle. Fiber helps keep the digestive system working smoothly.